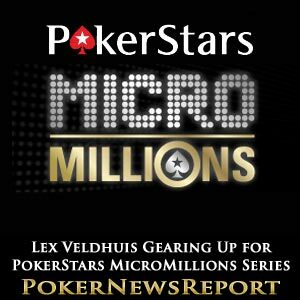 Team PokerStars Pro Lex Veldhuis has stated that he is “definitely going to play a lot of the events” at the poker room’s MicroMillions tournament series that will include a $22 buy-in main event offering a whopping $1 million guarantee in prizes come its conclusion on March 25. 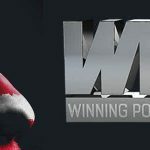 PokerStars revealed details of the series that extends the world’s favourite poker room’s online festival offerings that already includes the most prestigious and richest online series, the World Championship of Online Poker (WCOOP), as well as the Turbo Championship of Online Poker (TCOOP) and Spring Championship of Online Poker (SCOOP). Probably the most affordable online poker series out there, the micro stakes events allows players – no matter how wealthy or experienced – the opportunity to win massive prizes for what really is not a large outlay. Certainly, Lex Veldhuis can’t wait to get going when the “awesome” series kicks off on Thursday, March 15, for 11 days of poker over 100 events that offer at least $5 million in guarantees. While the series might be aimed at micro stakes and recreational players, competitors can expect to see the likes of Dutch star Veldhuis – who has 12 World Series of Poker (WSOP) cashes to his name – lining up to take part with such enormous prize pools assured. Don’t forget that over 49 million players have registered with PokerStars since its launch back in December of 2001 to become the world’s biggest poker room, so it’s almost certain that fields at the MicroMillions will be huge – meaning gigantic payouts. The 28-year-old from Rotterdam reckons the MicroMillions series “is one of the best” events he has taken part in as – “back when I played penny and micro-stakes games” – he found himself “mesmerised by the big tournament series and always hoped to be able to play one day”. Of course, Veldhuis has moved on from those days after French star and friend Bertrand ‘ElkY’ Grospellier deposited the Dutch star’s first $10 at PokerStars back in 2005. 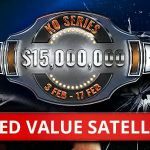 However, he is still attracted to the MicroMillions series – and no wonder as buy-ins start at just 11¢, while there are also daily $1 tournaments offering as much as $100,000 guaranteed prize pools. 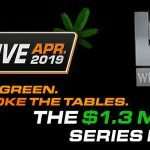 There are also dozens of $2, $3, $4, $5, $8 and $10 events, while the $22 buy-in main event on March 25 guarantees players will share at least $1 million from the prize pool. Veldhuis – whose biggest live tournament cash came in May of 2009 when he picked up $277,939 for finishing seventh at event #2, a $40,000 buy-in No-Limit Hold’em 40th Anniversary tournament, of the WSOP in Las Vegas – could not contain his enthusiasm for the MicroMillions as he believes the event “offers players from those stakes the chance to be part of a great tournament series”. Additionally, the pro – who is known online as ‘RaSZi’ – reckons “it’s a very logical step (for the poker room) with all the different online tournament festivals that PokerStars offers”. The MicroMillions events will run almost all day every day, ensuring that players from right across the globe have the opportunity to take part in the hope of turning a couple of bucks into many thousands of dollars. The events begin at 01:30, 04:00, 06:00, 08:30, 10:00, 12:00, 13:30, 15:30, 17:00 and 21:00 (all times Eastern Time Zone), while a full schedule of tournaments, as well as online satellites, can be located at the PokerStars website. The poker games available throughout the series pay particular attention to the world’s favorite variant, No-Limit Hold’em, although players will also have the choice of playing Pot-Limit Omaha, Omaha Hi/Lo, Stud, Draw and Eight-Game mix. 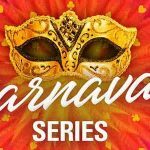 Fans of the many formats will also be catered for, with Turbo, Rebuy, Shootout, Knockout, Big Ante and Six-Max available. With over 75 billion hands already played across more than 500 million tournaments at PokerStars – as the poker room offers more daily events than any other website – players can expect to enjoy some thrilling action throughout the 11-day festival of poker.